Paging systems for staff ensure that messaging is effective but unobtrusive but make it simple to contact individuals, a group or everyone. 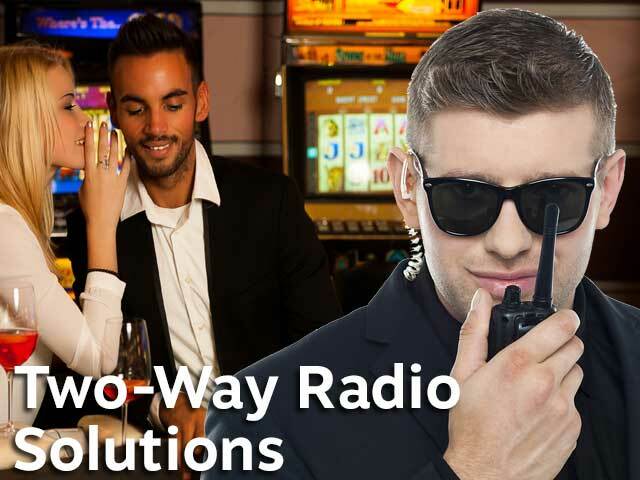 In any emergency situation instant messaging can be critical especially in a casino. Our systems work with many other on-site solutions and we can usually interface to them simply making our systems the most flexible. 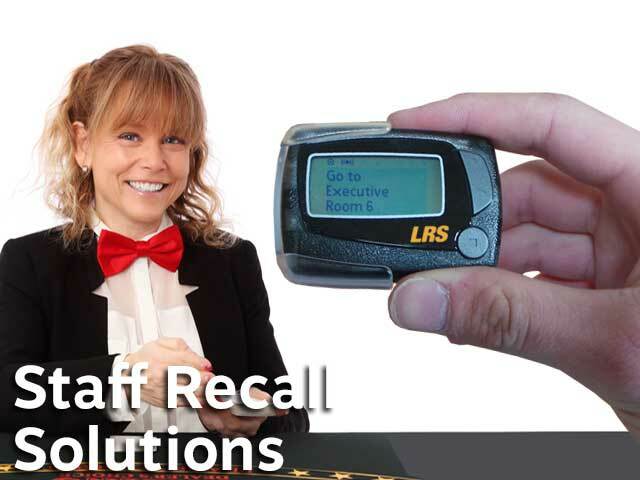 Staff recall pager solutions from LRS help to make communications highly effective so that informed decisions can be made by staff on the floor, front of or back of house or management. Simple to install, our paging systems are fully configured on delivery and can often be installed and working in just minutes. Our TX9560MT transmitter gives a range of up to half a mile in open air (800 metres). Staff receive the message to act upon immediately. The unit pages up to 999 pagers and for battery or mains operation the unit works for up to 8 hours before recharge. The simplest staff solution for making employees more efficient. 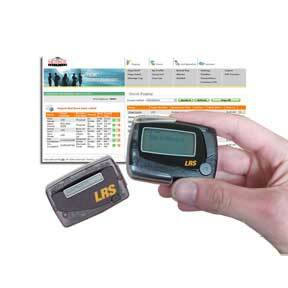 It can page all of our pagers. Increased features and range on-site is available to message staff. 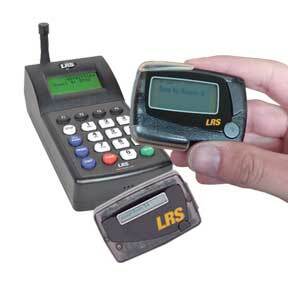 This TX7470 system is perfect and the transmitter pages all pagers we make. A dual purpose unit for employees and customers. Messaging has never been easier. 76 pre-stored texts messaging is two key presses away. Optionally page staff to their cellphone. Range is up to two miles in open air and range extenders are available. Communicate with staff via the computer or network; out NetPage unlimited is perfect to keep records and reports of all messaging. Tasks can be allocated to specific staff or group and when completed staff report back that tasks are complete. Integrated wait lists included. Cellphone SMS texts are simple to send and this software can work over the internet between sites for staff paging. 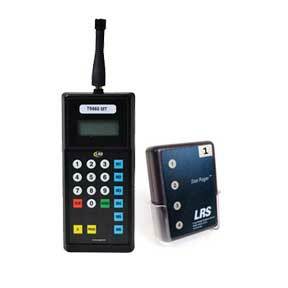 Works with TX7470 and TX7470-232 transmitters. Increase staff communications beyond only on-site. The pronto is a one or six button unit perfect for discreet paging to staff. 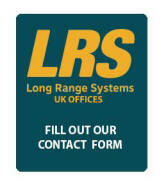 This allows instant contact to staff on-site. 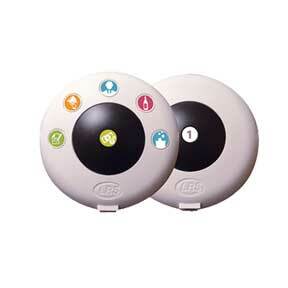 Buttons can be custom programmed for specific use such as raid, suspicion, security, duress, fire or other message. 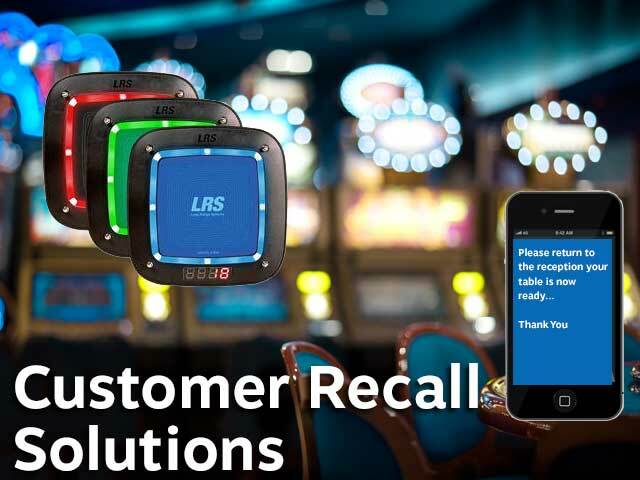 Specific solutions for the casino sector are shown below.